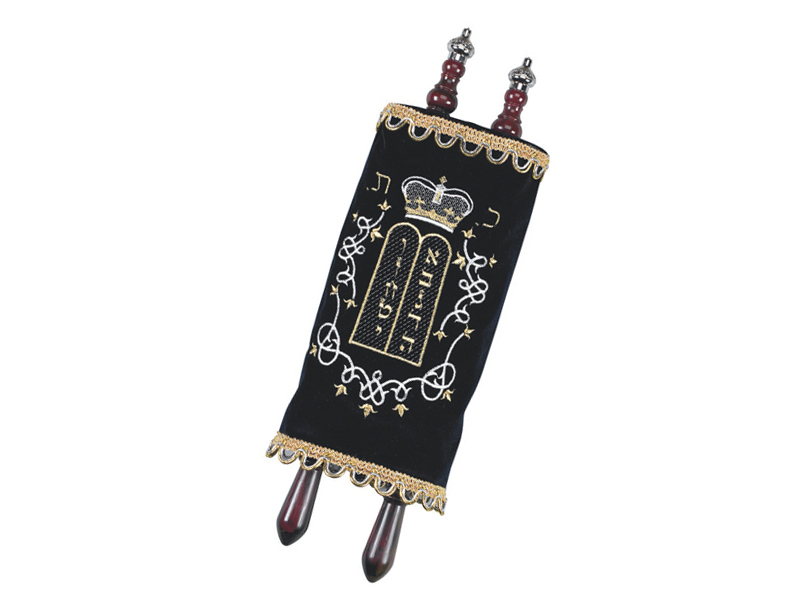 This children's sefer torah is a look-alike to the real thing! Covered with a luxurious navy velvet cover, it is embroidered in gold and silver with a picture of the luchot surrounded by flowers and swirls. Play sefer torah comes along with a protective plastic as well as a yad, the pointer used while reading the Torah. Children's sefer torah comes along with a box which is great for safekeeping. This makes a wonderful present, birthday or other, for that special child in your life!